You may have enough food stored away to get you through a disaster, but do you have a way to cook it? I was feeling pretty confident about my supply of food, until the power went out for 2 weeks! I quickly realized it’s pointless having food if you don’t have a way to cook it (unless you enjoy eating dried pasta and beans). 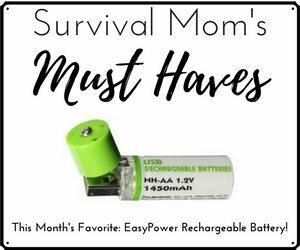 To truly be a Survival Mom you need to take the next step and figure out a way to cook your food without power. I’m spoiled, I’ll admit it, I don’t think I’ve gone a day without electricity until a hurricane swept through our town and taught me a lesson I would never forget. Immediately afterwards, I researched different powerless cooking methods so I would never be in the same predicament again. There are plenty of options out there, but I noticed many of them can be costly. No need to worry though, because I have you covered! Not only are these 3 powerless cookers practically free, you can make most of them with the scraps you have just lying around. 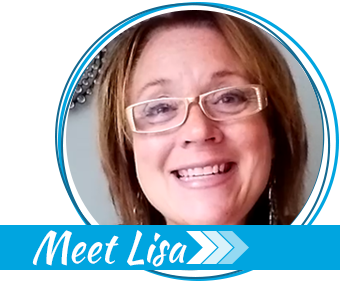 You’ll be saving a chunk of cash, re-purposing items, and becoming prepared all at the same time. Try and pick one powerless cooker to make, or if you’re feeling extra ambitious… make all 3! The apple box Oven uses about half the charcoal that a Dutch oven uses and gives the same results as baking in a regular oven! A lot of the meals in my food storage need to be baked in an oven, so going without one would be tough! You can bake 3 loaves of bread at the same time in an Apple Box Oven, cook your famous casserole, or make anything else your heart desires. Even if you don’t want to make one right now, you can always gather up the supplies and throw them in an apple box. Then if you’re ever without power, you’ll have something to do! CHARCOALS – about 17 coals to cook for 1 Hour @ 350. A chimney coal starter will make this process easier. DON’T FORGET – store extra newspapers & matches to light the charcoal. This is definitely one of my favorites! If you think living without an oven is hard, try living without a stove! I’m constantly using my stove to ground beef, heat-up food, and cook quesadillas! This may not look too impressive, but it only requires a handful of twigs to cook an entire meal. You won’t have to worry about cutting down a forest just to eat if you have one of these. It’s easy to use and most of all, it gets the job done! TWIGS – A handful of twigs will cook an entire meal! FOR ONE YEAR – Store a pile of wood that you can chop pieces off of to use in the stove. DON’T FORGET – Make sure to save your dryer lint to help fuel the fire, and store plenty of matches. This oven truly is wonderful! It’s like a crock-pot but without a cord attached to the wall. It’s even better too, because while it keeps hot things hot, it also keeps cold things cold! Ice cream will stay frozen inside for over 4 hours, meaning you no longer have to run everyone off the road when coming home from the store! To cook in it, you’ll first need to boil your food for about 10 minutes and then immediately place your pot inside the wonder oven. It will continue to cook and keep your food warm until you’re ready to eat! I told you it is wonderful! DON’T FORGET – When cooking you’ll need to get your food boiling for about 10 minutes before placing it into the wonder oven. 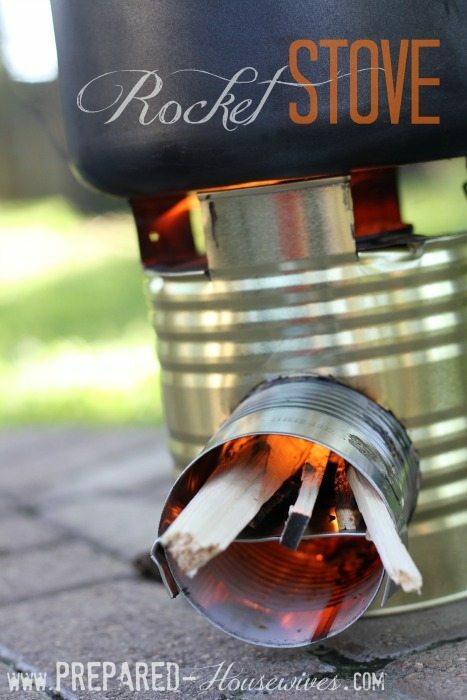 A rocket stove is a great option to use to help get the food boiling, so make sure to store some extra wood. If you’re unsure of your sewing abilities for this project, or don’t have a sewing machine, a Wonder Bag can be picked up on Amazon for a little over $50. No need to wait for the power to go out to start enjoying your home-made powerless cookers. I’ve started taking the rocket stove on camping trips and even use my wonder oven to cook food on the way to visit Grandma. Remember; just try making at least 1 powerless cooker! 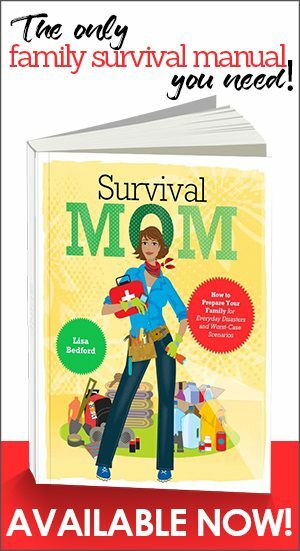 You never know when you might need to put your Survival Mom skills to the test, so don’t wait too long to start collecting your scraps! Believe me; no one enjoys eating dried pasta, not even the dog! Please, please everyone remember that charcoal gives off carbon monoxide and shouldn’t be used inside. Don’t try using that in your oven, or basement, or kitchen, etc. Also think about where you’d be doing your cooking in the winter, wind and snow, or driving rain. That’ll also affect your cooking time and temperature. Great post. To throw a couple other stoves out there — there are many — look up the penny alcohol stove, and the garlington wood-gas stove, both of which I’ve made and had good results with in certain situations. A few Buddy Burners are handy to have as well, and very portable. Just remember to also have some kind of “handle” prepared, since they get very, very hot. Thanks for mentioning that tip. Most cooking definitely needs to be done outside – you don’t want to cause more harm than good. That’s one thing I love about the wonder oven. You can use it anywhere! I want to check out the other stoves you mentioned! I love finding new ways to cook food! I have a large mason jar that I save my dryer lint in. My wife thought I was crazy until I used some to start our campfire. Now she assists. The dryer lint is a great way to start fires. I stuff my dryer lint inside empty toilet paper rolls and store them in zip lock bags to take camping. About the wonder oven . My gf is Russian , and tea is a part of her culture . The quilted covering system works . She uses a tea cozy , its a two part thing , consisting od a oval bottom piece that you set the pot on and the cover that goes over the whole pot …………….seriously , the tea is still hot hours after she makes it . I remember reading (a long time ago) about putting your Dutch oven into a wooden box filled with straw to continue to cook food that is already heated. Could it be an early wonder oven? I think I will build one of the wood – straw ones to try, but maybe make a thick cushion as a cover – sort of like the tea cozy. We have a propane grill with a seperate burner for cooking in a pan that we could use to heat the food. We keep extra propane on hand but cooking this way could really conserve energy. I haven’t used my Wonder Box yet, but I have found some wonderful resources for recipes. The first one is out of print but well worth it: Fireless Cookery by Heidi Kirschner. Published in 1981, it has great info and basic recipes. Also, I must confess I bought mine from Julie Embley, and she has a set of Wonder Oven Instructions and Recipes. If I find her website, I will post it. Heat retention cookers have been around for a while. Google ‘Hay box’ and ‘hay box cooking’. The settlers traveling the north american plains used these. It was a wooden box with well fitting lid and stuffed with straw, hay, or grass. I have a modern day ‘haybox’ sitting in my kitchen that is made from a Styrofoam cooler. I can bring a pot of dried beans to a boil in my dutch oven, transfer it into the haybox and it cooks them to perfection with no burning or scorching in 5 hours. Rice (long grain, not instant) cooks in about 2 hours, and chili in about 4. 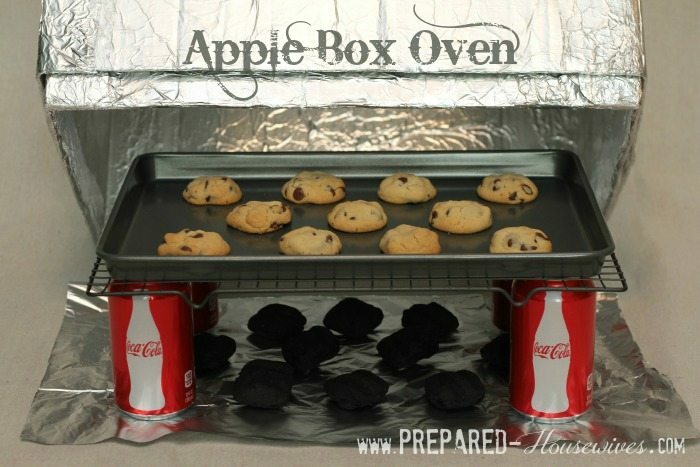 Great way to cook with minimal energy and keep the house cool in summer. I’ve made the tabletop version of the rocket stove and a little bit bigger one also. My first try is here, and in an emergency situation this one would work..
dual functions, the wall of the stove and the insulation part. You can make a rocket stove with as little as 6 bricks (5 1/2 actually, you’ll need wire to hold your bricks together), not sure exactly how many we used in this build, but’s our best, and it can be put up and down as needed.. I made up one of the box ovens and tried it out. I used the number of briquets required and the temperature was supposed to reach 350 degrees. It actually hit 150 degrees. I will need to adjust the number of briquets. The reason I mention this is because you might want to perfect your oven before you actually need to use it. With the wonder oven, you have to have your food hot before it will cook. That means finding another source of heat besides the wonder oven. Whether you are using fire, briquets or whatever, the smell of the fire will be a draw, along with the smell of the food. I use a Sun Oven. It requires NOTHING but the sun. If you have a cloudy day, it will not work well. It needs at least enough sun to cast a bit of a shadow. The stronger the light, the faster the cooking. When I cook in it, I cannot smell my food at all until I lift the lid to remove it. That is a huge benefit. So that is what I use if the weather is good. I try to find a very, very protected place before I will cook anything outside. If a man is starving, he will be able to smell the source of your cooking and food from a great distance. That is a bigger problem than how to cook the food – keeping it once you have it cooked. 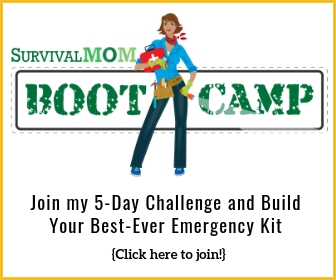 These ideas are great for here and now when things aren’t in a crisis, though. You are so right! About testing an oven before you really, really need it! Some ovens reach such low temperatures that bacteria can start growing and the food never really cooks all the way through. I like the Sun Oven, also, because if positioned correctly on days when there’s enough sun, it heats to temperatures hot enough to safely cook a meal. As far as food smells go, even cooked white rice, a bland food, has a smell. If a crisis is severe enough that the smell of food might endanger your life, well, that’s a pretty big crisis. Smells travel a very long way, so even cooking something out in the wilderness carries a risk, AND how do you know you’re all alone out there? The best case scenario is to be part of a tightly knit group that has the ability and the will to defend their community. I suspect it is a box apples are delivered in or collected in . Great article and good suggestion to practice these methods. 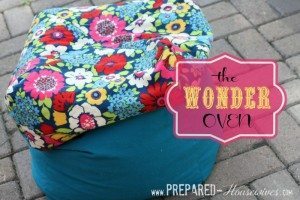 I read through the directions for making the Wonder Box and it occurred to me that the materials used were the same as those in modern bean bags used to sit on. I am talking about the traditional old school type of bean bag which is basically circular. 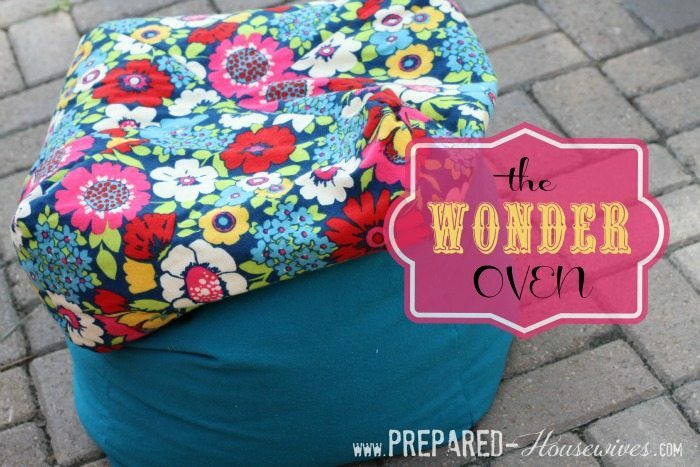 So couldn’t a Wonder Box effect be achieved by using two bean bags? I ask because I happen to have a couple in my basement and while I can sew, I do not like to sew! Anyone see a potential reason not to use bean bags, provided one reads the fabric content label prior? If you haven’t made up cotton balls slathered in vaseline for firestarters, you’re missing out. We heat with wood, so we’ve started our fair share of fires. They work great! I make a whole bunch at a time and keep them in a small plastic jar. Last year we took a month-long vacation out west. I purchased a butane stove. ($25 give or take a bit) It works great as well. Walmart usually carries butane. (It comes in a canister like propane.) But Gordon Food Service (GFS) carries it in bulk. I cooked breakfast and dinner on that stove for a month. (For lunch we did sandwiches.) It’s a great investment.